In 2002, Gideon Dagan designed the Timesphere Wall Clock for the Museum of Modern Art (MoMA). The minimalist design of this exceptional wall clock gives it an incomparable charm. A seemingly gravity-resistant ball floats around the dial of this spectacular clock and displays the time. A magnetic mechanism allows this stunning effect to be realised. Inside the clock, a precision quartz mechanism ensures the accurate indication of time. 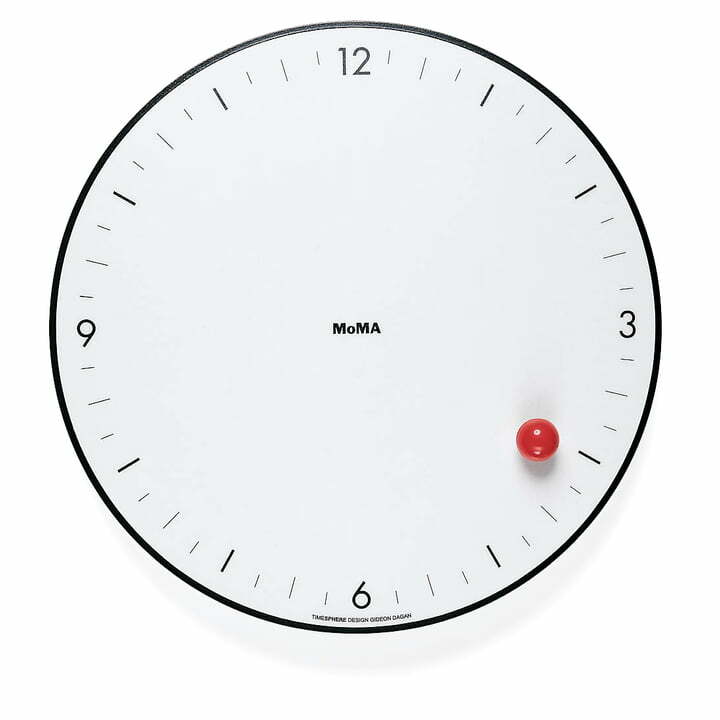 This intriguing wall clock by MoMA demonstrates that it is possible to play with time. MoMA Collection manufactures the Timesphere of ABS plastic. The amazing wall clock has an extra strong clockwork to ensure accurate time over a long period of time. Single image of the Timesphere wall clock from the MoMA collection. With a white dial and a red magnetic point that always indicates the time correctly, thanks to the Quartz movement inside.